Academy Award-Winning Actress; Known for "12 Years a Slave" and "Black Panther"
Lupita Nyong'o is a Kenyan-Mexican actress and filmmaker. 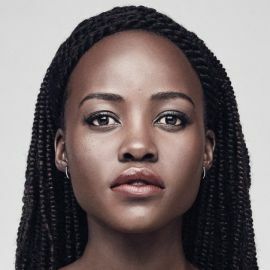 She is known for her roles as Patsey in 12 Years a Slave, Nakia in Marvel's Black Panther, and Adelaide in Jordan Peele's Us. Nyong'o was born in Mexico City in 1983 to a Kenyan family and was raised primarily in Kenya. Her father is politician Peter Anyang' Nyong'o. He was the former Kenyan Minister for Medical Services and was elected in 2013 to represent Kisumu County in the Kenyan Senate. Her cousin Isis Nyong'o was named one of Africa's most powerful women by Forbes magazine in 2012. After graduating from Hampshire College with a degree in film and theatre studies, she worked on the production crew of many films, including Fernando Meirelles's The Constant Gardener, with Ralph Fiennes, and Mira Nair's The Namesake. She starred in the 2008 short film East River, directed by Marc Grey and shot in Brooklyn, New York. She returned to Kenya in 2008 and starred in the Kenyan television series Shuga. In 2009, she wrote, directed and produced the documentary In My Genes, about the treatment of Kenya's albino population, which played at several film festivals. She subsequently enrolled in the acting program at the Yale School of Drama. At Yale she appeared in many stage productions, including Gertrude Stein's Doctor Faustus Lights the Lights, Chekhov's Uncle Vanya and Shakespeare's The Taming of the Shrew and The Winter’s Tale. 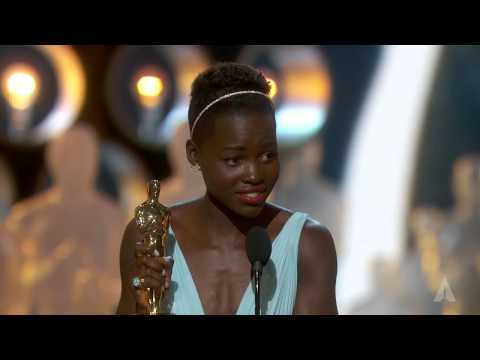 Nyong'o was cast in 12 Years a Slave immediately after her graduation from Yale in 2012. Her role in the film earned her an Academy Award for Best Actress in a Supporting Role, among many other accolades. She was also featured in Liam Neeson's film "Non-Stop" before appearing in the box office smash hit Star Wars: Episode VII - The Force Awakens. In 2018, Nyong'o appeared in Marvel's Black Panther directed by Ryan Coogler, alongside Chadwick Boseman, Michael B. Jordan and Danai Gurira. The film saw immense commercial success and went on to receive three Academy Awards. Lupita stars in Jordan Peele's new horror film Us, the highly anticipated follow-up to his critically acclaimed film Get Out. The film broke multiple box office records in its opening weekend, including having the biggest opening weekend for a film headlined by a black woman. Lupita Nyong'o, the breakout star of '12 Years a Slave,' talks about getting the specifics of Steve McQueen's film just right. The newcomer is gathering rave reviews – and Oscar buzz. In director Steve McQueenrsquo;s 12 Years A Slave, Lupita Nyong'o plays the tortured yet miraculously whimsical slave Patsey. She is the object of the. 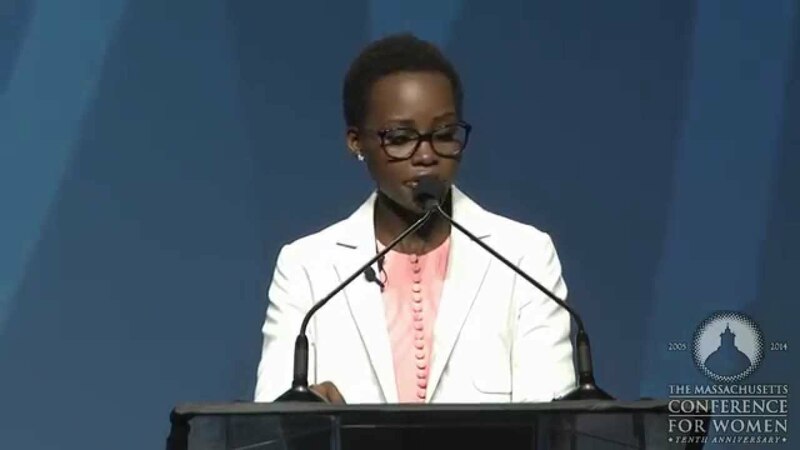 Academy Award-winning actress Lupita Nyong'o has returned to her native Kenya and announced that she will advocate globally for elephants with international conservation organization WildAid, as well as promote women’s issues, acting and the arts in Kenya. Award winning actress Lupita Nyong’o and The Daily Show host, Trevor Noah, joined Philip Galanes for a meal and conversation in New York Times column Table for Three. The two celebrities—both from African nations, both 32 years old, and both having accomplished great achievements in the entertainment industry—shed light on #OscarsSoWhite and the challenges of diversity. Variety has selected Lupita Nyong’o, Julianne Moore, Vera Wang, Misty Copeland and Megyn Kelly as the Lifetime Impact Honorees for its 2016 Power of Women: New York event, which celebrates the philanthropic efforts of industry leaders. Us, Jordan Peele's follow-up to Get Out, has been the subject of substantial critical and commercial acclaim. The film grossed a staggering $70 million in its opening weekend, making it the second-biggest opening of the year behind Captain Marvel, which opened with $153 million. In addition to that, Us also broke several box office records, including the best weekend for an original horror movie and the best weekend for an original R-rated film. But there's another record that the horror film broke, and no one has seemed to report on it until now. Thanks to one of our Shadow and Act community members who tipped us off in our comments, we investigated and learned that Us made history as the highest domestic opening weekend gross for a film headlined by a Black woman.